Dr. Watson insists on taking his friend on a short vacation to the seaside in Plymouth. Watson hopes that it will be a time for restoration of body and soul. Within hours of arriving there Sherlock Holmes is called upon to help solve a recent murder of two electrical engineers. What began as a tedious journey quickly turns into a puzzling and finally a diabolical adventure, as the great detective, aided by some unusual recruits to the Company of Irregulars – from the Plymouth Brethren of all people – must match wits first with bank robbers and eventually with the evil professor himself. 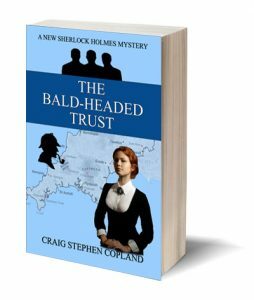 Lovers of Sherlock Holmes mysteries will enjoy this new story, written today but as faithful as possible to the characters, heroes, villains, language, and settings of the original Sherlock Holmes.